Enough is enough! Converse is putting its foot down. The maker of the iconic "All Star" sneakers is suing 31 retailers and manufacturers, including Wal-Mart (WMT) and H&M (HNNMY), for selling copycat shoes. It wants them to pay compensation for trademark infringement and unfair competition. Converse, which is owned by sportswear giant Nike (NKE), unleashed the legal onslaught Tuesday, filing cases with the U.S. district court in New York and the International Trade Commission. The lawsuits came only after the company issued about 180 letters over the past few years asking retailers to stop selling imitation shoes. 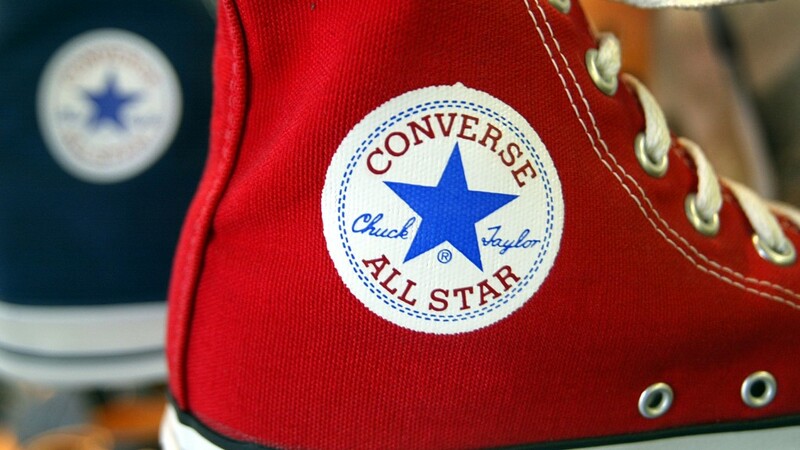 Converse first began selling its shoes back in 1917 and has since sold over one billion pairs, marketing them to sports stars, rock stars and young people. The shoes -- also called Chuck Taylors by enthusiasts -- have appeared in classic movies. Sylvester Stallone sported them in Rocky, and John Travolta kicked around in them in Grease. The brand has held onto its appeal with the cool kids. Nike's latest annual earnings show Converse sales increased by 16% to nearly $1.7 billion in fiscal 2014. Converse says retailers selling imitation shoes have caused it "substantial and irreparable injury" by eroding its famous brand name and confusing consumers. Can you tell the difference between the real Converse sneakers and the knock-offs? In addition to seeking compensation, Converse wants the defendants banned from selling copycat products and forced to destroy the items and all related advertising material. Wal-Mart and H&M refused to comment on the case. Other defendants named by Converse include Kmart, Skechers (SKX), Aldo Group and Ralph Lauren (RL).